I'm looking to swap over my two pod dash to the later single pod unit. Another source would be Hall's. They have a bin FULL of dashes. However getting them to pick out one like you ask for takes some time. I have a nice one on eBay. All things considered I'm kind of surprised that more GT40 dashes haven't appeared in Panteras? I wouldn't want to do that conversion though. Dual to single is complicated enough, but it was fun. DON'T use the '74 plastic dash. They will crack on you and may not take the handling necessary to re-install well as a result. Thanks King, I found it. It's in my watch list now. This is a one-off done by Jack Richards, who owned the car many years ago. According to the articles he wrote, he had ERA (who used to make GT40 replicas) make him a dash out of carbon fiber. Apparently the curvature along the top front along the windshield is pretty much a perfect match. He cut the side extensions that go to the floor on the '40 shorter as you can see from the picture. The other mod is the notch for the steering column had to be moved to the left an inch or so to align with the Pantera column location. The column on this car is a newer Ford tilt column with aluminum covers. The center console was removed and the driver's seat moved over to to the center of the car to align with the steering wheel and pedals so that you drive with legs straight ahead. My ability to fit is the main reason why I bought the car. When I showed it to Steve Wilkinson, he thought it was cool that the gauges were all up high in your field of view. I thought about making a mold of the dash before I sell the car, but not sure if many people would buy it because of the work involved. You also have to use aftermarket A/C and do some rewiring. This is a one-off done by Jack Richards, who owned the car many years ago. According to the articles he wrote, he had ERA (who used to make GT40 replicas) make him a dash out of carbon fiber. Apparently the curvature along the top front along the windshield is pretty much a perfect match. " Thanks for the explanation. Fascinating. My car is on the rotisserie and strip down to a bear tub. I have 180 degree headers and Weber's in the GT40 inspired build. I have not even considered the GT40 style Dash. My car has a 2 pod dash so you would not be interested in that but I'm seriously considering the GT40 dash swap. And for that matter I like what you did with your seat Arrangement as well. It wouldn't be a tremendous burden right now because my car is completely stripped down to the last Nut and Bolt while I tweaked some metal work. 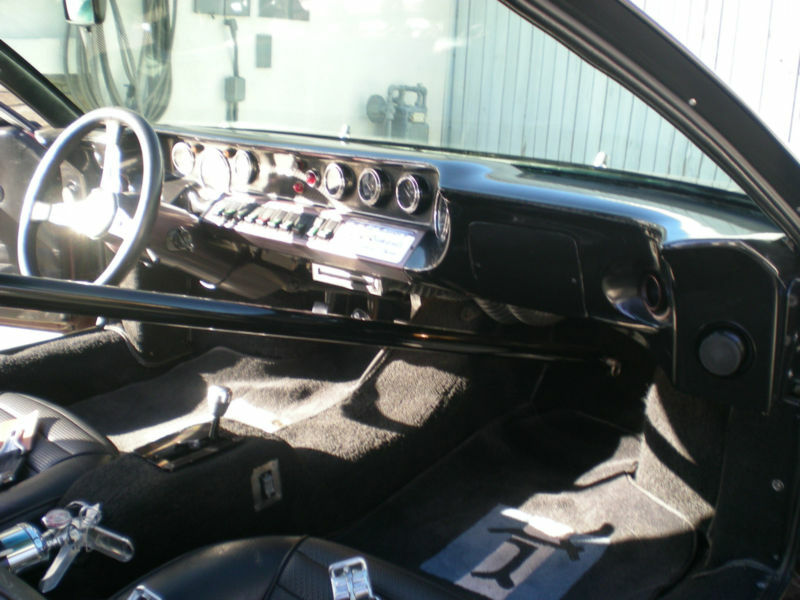 I wonder if anybody has ever bought a fiberglass or carbon fiber Dash from one of the GT40 replica companies, like you mentioned, and tried to fit it on the Pantera? Besides Jack of course. I'd be curious to hear of somebody else's experience on that. To compare. I was watching that for while until the priced jumped up! Nicely done, but commits you to a gray interior. A lot of the vendors sell a bare fiberglass unit that you can get upholstered to your taste. I have a center console that needs some work available.